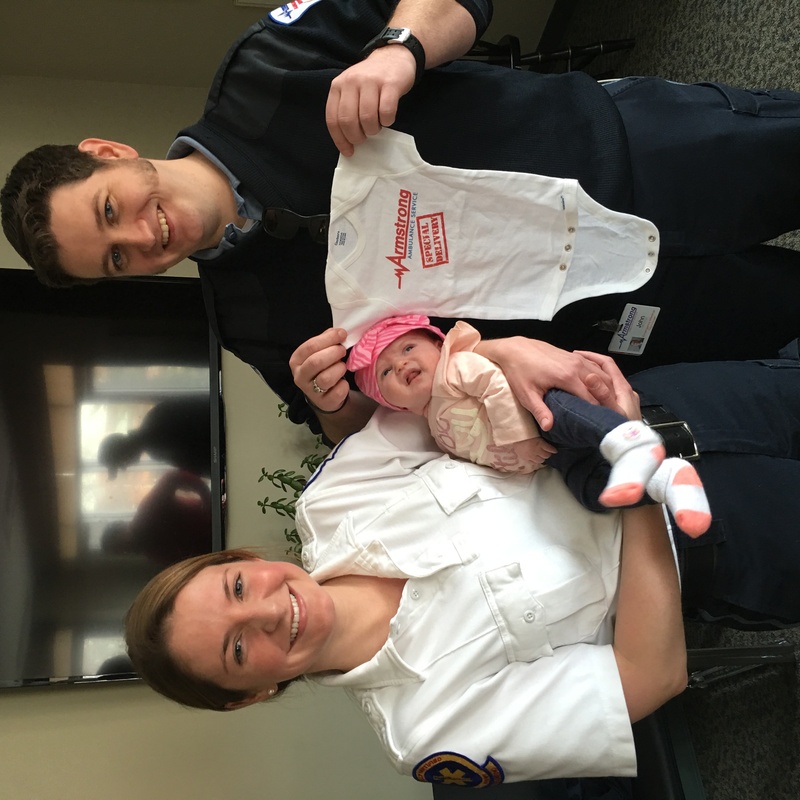 On January 26th Mike and Sandra Melvin were driving down I-93 South on their way to Beth Israel Hospital in anticipation of the delivery of their baby girl. Stuck in traffic, Sandra realized they were not going to make it to the hospital in time prompting her husband, Mike to call 911. 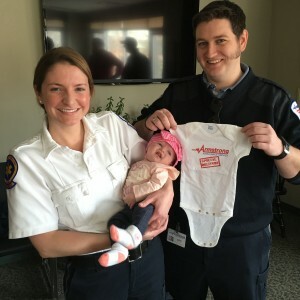 Crew members Scott Shedd, John Hardiman, Amanda Roberts, Bridgette Jenness and Peter Melo arrived on the scene to quickly transport the couple to their intended hospital but baby Catherine had different plans… The team re-routed to nearby Winchester Hospital where baby Catherine was delivered inside of the ambulance in the parking lot- Mom and baby were phenomenal! Now, four weeks later, Sandra, Mike and their son William came in to meet the crews that helped bring baby Catherine into the world. 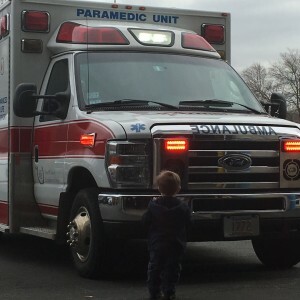 We aren’t sure who was more excited, brother William who got to play in the Ambulances or the crew members who got to reunite with baby Catherine. We are very thankful for the amazing teamwork of our crews and to the Melvins for sharing their family with us today!